A few weeks ago, I had the opportunity to see a part of Ontario that I hadn’t before: the Bruce Peninsula. After years of travelling across Canada and the US, to the British Isles and throughout the Caribbean, it became apparent to me that I hadn’t been seeing enough of the local sights. 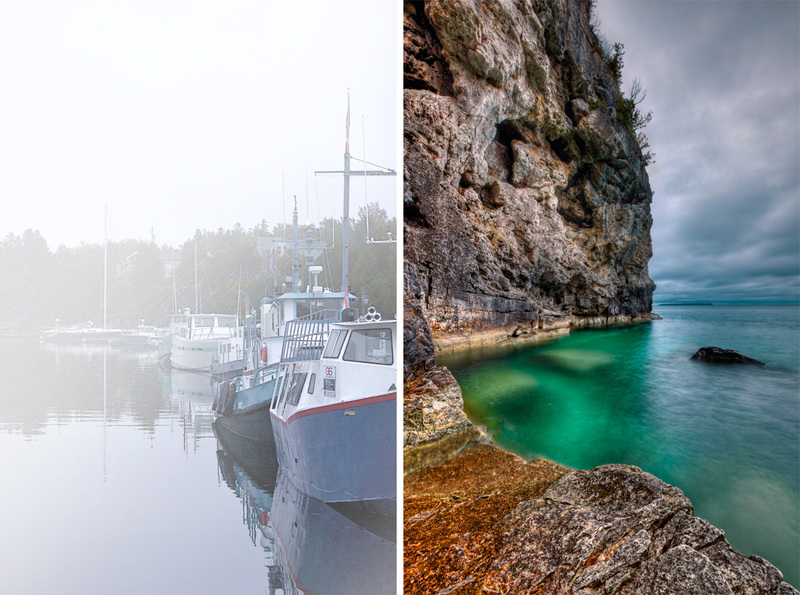 Tobermory, on the Bruce Peninsula, is at the northern end of the Bruce Trail which runs 885 km along the much larger Niagara Escarpment. The Trail, itself, begins in Queenston and ends at Tobermory (and the Fathom Five National Marine Park), and it is the longest footpath in Canada. Not even a 4-hour drive from London, my wife and I made it our anniversary getaway for this year, rather than somewhere ‘beachy’. Even as we were driving the winding back roads heading north, we could see how the land was changing quickly. Unlike the flat, featureless tracts of farmland around London, we were passing through valleys and dense forests, already exploding in fall colours. As much as we wanted to get to our destination, the drive was worth savouring. With summer over and winter on its way, it’s nice to be able to simply relax while driving on a sunny day. The town of Tobermory was almost exactly as I imagined it would be: a small core of local businesses surrounding a harbour full of boats … and trees. Lots and lots of trees. The entire peninsula is one big coastal forest, perfect for hiking and unwinding. We chose to stay at the Bruce Anchor Motel as it was close to the water. That turned out to be a great decision. We both recommend the Bruce Anchor for its rooms, location and hospitality. It also made for a great hideout when it rained non-stop on our first day there. The second day, however, we went out in spite of the rain. While hiking to the Grotto, a natural shore side cave, the rain stopped early on anyway and didn’t come back the rest of the day. Wet or not, we got to enjoy sights such as the Grotto, Indian’s Head Cove and Halfway Log Dump (I know!). Although we could only stay for a few days, we saw as much as we could while still trying to relax. Because we decided to go during the off-season, there were a few local places that were closed already but all of the restaurants were open (and the local whitefish is excellent). So was the dark roast at The Coffee Shop on Bay Street – we stopped in there daily for our fix. Sadly, all good things must come to an end. We made one more stop on the way home, this time to check out the Cabot Head Lighthouse. Getting there was a bit of a challenge as the road leading to it is similar to the moon’s surface, just with more potholes. In the end it was worth it, though, as the view along the shoreline was fantastic. It actually felt like being out in the Maritimes, which I haven’t done in years. 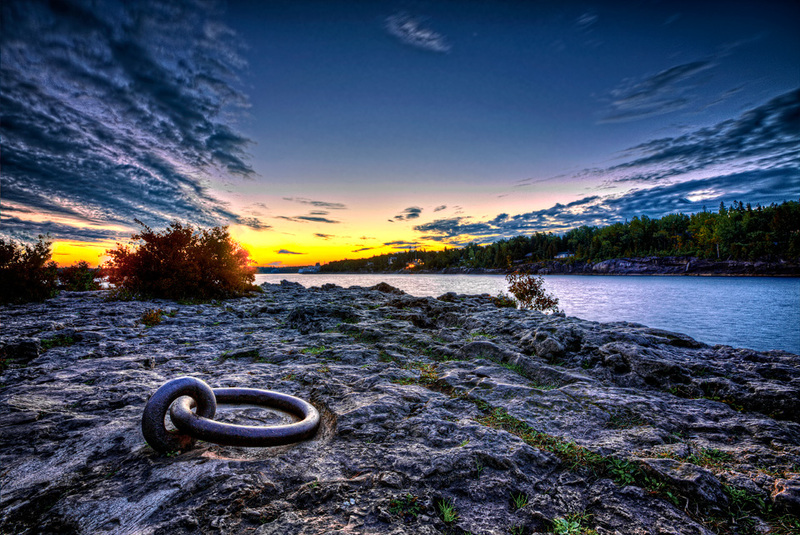 This entry was posted in Travel and tagged Big Tub, Cabot Head Lighthouse, Jay Terry Photography, Landscape, Little Tub, Scenic, The Bruce Peninsula, The Bruce Trail, The Grotto, Tobermory Ontario. Share away! I loved it up there and will be going back, camera in-hand. Absolutely stunning pictures – thanks for sharing your experience. To really, truly grasp the Bruce and all of its beauty, I would strongly suggest you go up for a week, at least. This is my favourite place in all of Ontario. We go every summer for a week, and have done that for the past 3 years. We are still discovering things! 🙂 The hiking is spectacular. 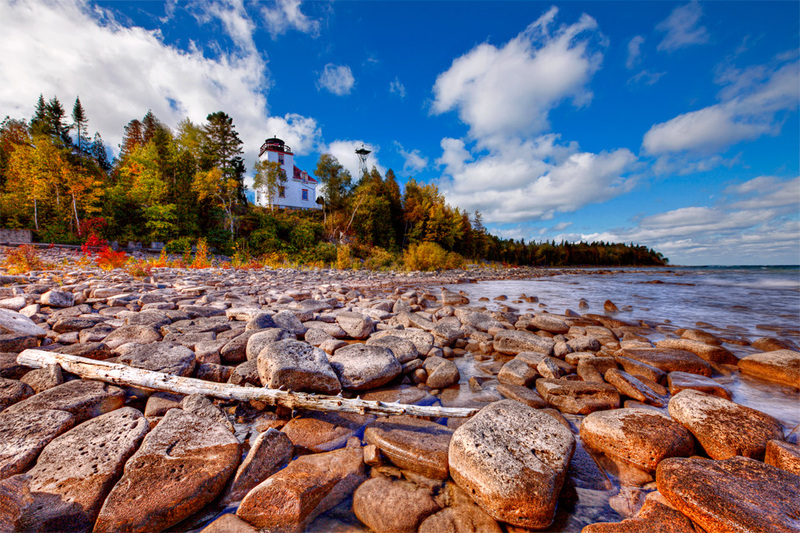 You have to check out Flowerpot Island too, amongst so many other areas/places. Thanks, Llyana. Flower Pot was on our ‘to do’ list but the weather wasn’t working with us. We’re hoping for better luck next summer. Even so, there’s no shortage to the sights up there.